Pemberton Group chose a unique location adjacent to the lush grounds of the St. Michael’s College campus of the University of Toronto for their exceptional U Condominiums, located at 65 St Mary St.
Steps from world-class shopping along Bloor Street, Yorkville and Hazelton Avenues and in the very heart of Canada’s financial district, U Condominiums offers a lifestyle that is unequaled. It is unquestionably the ideal choice for urbanites who are ready for an ultra-luxurious and sophisticated lifestyle in Toronto’s most exciting location. U is for you. Each tower is topped with a 4,500 square foot amenities area with a wraparound balcony framed by amazing views. Entertain in the elegant, well-equipped party room, savour some quiet time in the library, and exercise in style in the bright spacious fitness room and yoga studio. The unbelievable three storey lobby (designed by Andrea Kantelberg) features 24-hour concierge service. People who aspire to the pulse of life on New York’s Fifth Avenue, London's Mayfair, or Los Angeles' Rodeo Drive will appreciate that while U Condominiums' neighbourhood embodies many of the same attributes, it is in fact, unlike any other. A few steps away, on the grounds of St. Michael's campus is a secret place that university staff, students, and locals know – a botanical garden that is home to over 160 different trees and shrubs that change with the seasons to provide a rich array of colours and fragrances to tease the sense. Walk to a kaleidoscope of trendy cafes and fine restaurants. World famous designer boutiques, specialty food stores, a wealth of galleries, plus salons and spas abound. The TTC is at the doorstep, while the Gardiner and Don Valley are just moments away by car. 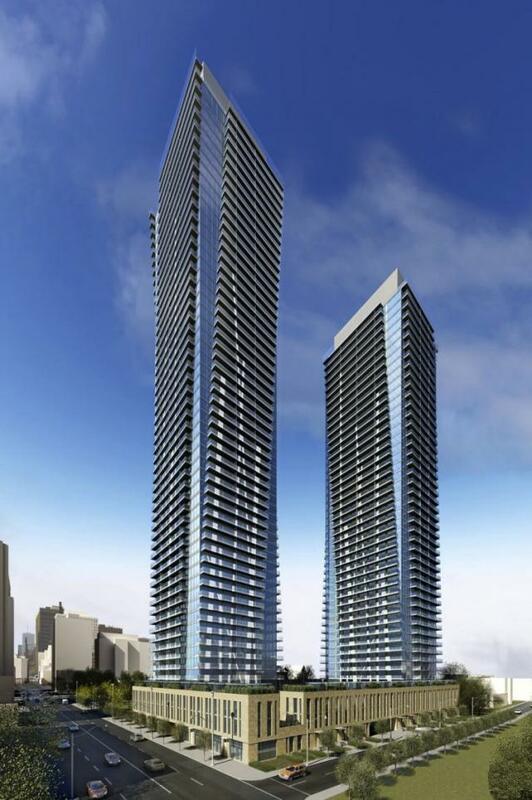 The high-rise units in the U Condos are sold out, but there are still townhomes available. The Urban Townhome Collection offers sophisticated living with stunning kitchens, luxurious ensuites, magnificent personal spaces including rooftop terraces, private elevator, and an underground garage. Remaining suites range in size from 2,682 to 3,288 sq ft, and are starting at $2,199,000. Occupancy is scheduled for May 2015 for Phase 1, and November 2015 for Phase 2.